It is with regret that we announce that the Poker Rally in support of the Dorset Lions Camp is cancelled for this year. 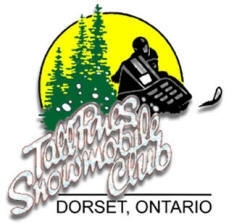 Tall Pines Snowmobile Club is located in Dorset, Ontario, in the heart of Southern Ontario's snowbelt region. We're about 2½ hours north of Toronto, or about 40 minutes east of Bracebridge. 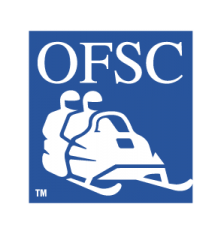 As a member of the Muskoka Snowmobile Region and the Ontario Federation of Snowmobile Clubs, our trail system extends from Muskoka in the West to the borders of Algonquin Park in the East. We have over 200km of beautiful groomed trails covering the Muskoka and Haliburton Highland regions! If you'd like more information about riding the Tall Pines Snowmobile Trails or would like to become a Tall Pines member, you can reach us at info@tallpines.org or contact any of our executive members. The Tall Pines trail network ventures over some spectacular terrain. Our trail system will take you through a variety of forests, over streams, rivers and swamps, to places you just can't get to any other time of the year. The site was first considered in the winter of 1991. After 5 years of public consultations, MNR approvals, engineering designs/re-designs, trail clearing and materials acquisition, this combined with the efforts and generosity of our members and supporters, we were pleased to have the new Horse Lake Trail open for the 1996/97 season. The Tower is located on TPSC Trail#60 and is accessible from downtown Dorset. The trail begins adjacent to the Ministry Building and climbs 400' to the tower road. The trail continues back down to Hwy 35 at the Nordic Inn and eventually connects to the TOP Trail D101B (River Bay/Dump Road). The trail continues North to Dwight or South to the Hollow Valley Restaurant. Hosting & Support provided by Baytides Management Inc.